When I first got involved in ENoK’s mission to help North Korean defectors while in college, I never thought I would be contributing to a cause as far-sighted and hopeful as envisioning a reunified Korea. Back when I was a student member, I participated in a demonstration against the repatriation of defectors in China and a fasting fundraiser to support the group’s many promising plans to support the defectors who had settled in the United States. But I never pictured myself engaging in an effort that not only addresses the needs that are imminent but also prepares for what is to come. 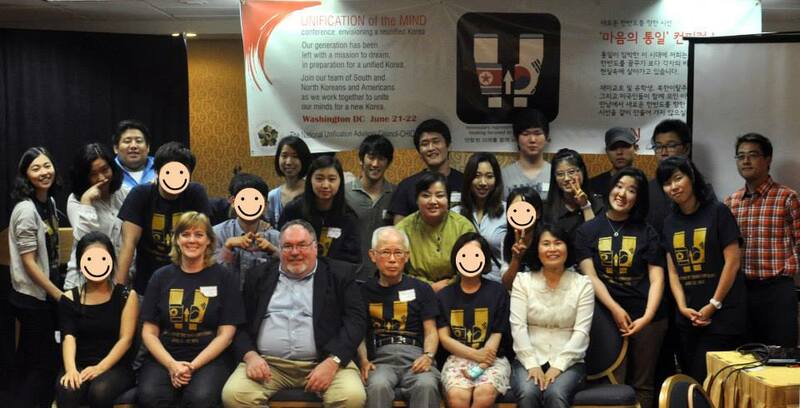 At the “Unification of the Mind” Conference that took place in D.C. two weekends ago, I met a large group of passionate people from the most unexpected places who gathered together to envision a reunified Korea. Being part of this conference was truly life-changing. Seeing people of different ages, experiences, nationalities, and professions come together to share personal thoughts, learn about each other, build relationships, and inform one another gave me hope that there already is a movement of ideas and great intentions preparing for the peaceful reunification. I arrived late on Friday night and couldn’t attend the Day 1 lectures, which, by the way, I heard was incredibly nourishing and insightful. As a participant of this conference, I would like to thank the organizers once more for putting much thought into the conference and recruiting guest speakers who could elucidate reunification and post-reunification examples from the past and help us view the Korean reunification in a much richer and well-thought-out context. Although I missed a good learning opportunity on Day 1, as I shared a room that night with two of my colleagues from Chicago and a new friend originally from North Korea, I knew the rest of this conference was going to be unforgettable to me. After a hearty breakfast and a brief introduction of all the participants, we began the morning problem-solving session on Day 2 of the conference. I joined the “Welfare: Healthcare for New Korea” group due to my personal interest in the field of medicine and healthcare. Everyone in our group actively engaged in discussions to come up with hypothetical solutions to many transitional problems related to healthcare that the North and the South will face as one nation. Our group came to an agreement that the healthcare needs of the reunified Korea will need to be met in multiple phases (i.e. phase 1 addressing the immediate needs within hours after reunification, phase 2 addressing the intermediate needs within days to months after reunification, etc.). Our discussions thrived because of the inputs from individuals representing such diverse experiences. Those representing the view of Americans, those representing the view of Korean-Americans and South Koreans, and those representing the view of North Korean defectors – all proved to be essential for the purpose of our group. The most interesting part of our problem-solving activity came as we began thinking in detail about the kinds of help people in the North will need and be able to accept physically, culturally, and psychologically. The personal accounts from the North Korean members of our group clarified many misunderstandings that the rest of us brought to the discussions and helped us identify sensible and sensitive plans to help the most vulnerable populations in the North and cooperate with the North Korean medical personnel for a collaborative care. Through their story-telling, we recognized the importance of humility and communication that will be critical in providing a successful medical care to the populations in the North right after the reunification. Furthermore, we talked about how complex healthcare reform will be for the reunified Korea. As we thought through the complicated issue of meeting the medical and closely-related economic needs of North Koreans, integrating such a new group of individuals to the pre-existing social fabric of South Korea, and dealing with potential complaints and oppositions that will follow the expansion of welfare programs, we were reminded of the vast amount of work that lies ahead of us, even before the reunification takes place. For the afternoon problem-solving session, I led the “Society: Women’s Rights in Reunified Korea” group. I had initially planned a very structured discussion based on facts and existing legal examples of violence against women. Once the day started, however, I realized how much each member of the group had to offer and learned to trust the natural flow of ideas and stories to lead to our resolutions. So I decided to only briefly inform the group of the background information I had prepared and left the rest of the discussion to the interesting opinions and ideas that were born out of diverse experiences. Unlike the group I joined in the morning, my afternoon group had much younger members, including high school boys from South Korea. As we spoke about the rampant sexual violence against women in South Korea and discussed concerns about the intensification of such violence against North Korean women after reunification, the young boys’ insights about the current sexual education in South Korea and the role of mass media in shaping the perception of gender roles added helpful and interesting layers to our understanding of the problems threatening the Korean women before and after the reunification. Hearing such young, concerned voices in our issue-specific discussions about the two Koreas’ future made me smile often as I led the session. Instead of witnessing discordance across people representing different age groups, nationalities, and social environments, I saw a hopeful integration of diverse voices taking place at the “Unification of the Mind” conference. And I realized that the key to preparing for Korea’s reunification is to make opportunities for communication and problem-solving exercise like this more widely accessible to various groups of people. It is difficult to convey all the emotions and reflections that I was able to experience within a short yet incredibly fruitful day of communicating with people I met for the first time and won’t forget for my lifetime. I have been a lazy supporter of the truly needed efforts that ENoK has made persistently over the years. I thank the organizers of the conference for reminding me that it is important for individuals with love for Korea, regardless of their age, background, or skills, to give attention to such efforts with a greater sense of responsibility and alertness.